for $435,000 with 4 bedrooms and 2 full baths, 1 half bath. This 2,913 square foot home was built in 1998 on a lot size of 8594.00 Sqft. Beautiful and spacious home in the heart of Gilbert! Large lot with RV gate, fenced pool, raised garden bed, and lush grass. Interior boasts 4 bedrooms plus a den/office AND a bonus room, granite countertops, bay windows, wood blinds, wood laminate floors, new sun-screens, walk-in pantry, and formal dining area. The spiral staircase leads to the second floor where you'll find the master with an oversized walk-in closet, spacious master bathroom with double sinks and soaking tub, and three additional uniquely large bedrooms. All new toilets, new flooring in 2 bathrooms, and new pool pump. 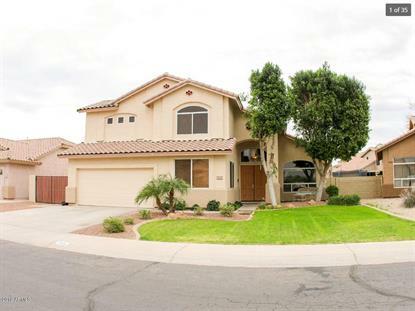 Don't miss out on this amazing home in one of the most desired neighborhoods in Gilbert!